Fundador do Trip Voluntária e autor do livro "Africanamente: o que vivi e aprendi como voluntário na África". O propósito de vida? Incentivar o intercâmbio de voluntariado como forma de promover tolerância, respeito e autoconhecimento. 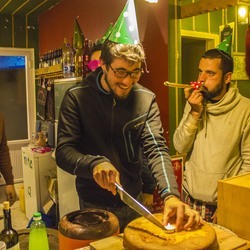 Encurtar distâncias, aproximar pessoas e celebrar encontros. Mergulhar em outras culturas e superar as fronteiras do desconhecido. Quebrar estereótipos para construir um mundo mais humano. Aqui, diferenças fazem a diferença. Como Gustavo pode te ajudar? Big 10 for Gustavo, very well behaving, nice guy & a very hard worker, Gustavo helped us in working to improve our social media channels & he did a lot of work, he was very resposible, & very well responsive....for sure we recommend Gustavo & inchallah we will see him again. Chris and Bobo, thank you so much for everything. I learnt a lot with you both during the time I was volunteering there. I can't wait to be back! Long life and all the best for Hostel in Ramallah, what you are doing there is really impressive and amazing. See you! 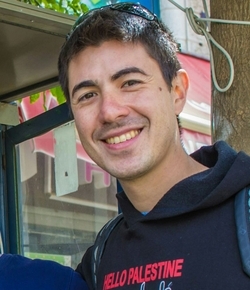 Hostel in Ramallah is more than a hostel - it is a local initiative with the objective of increase tourism in Palestine and spread the word about what is happenning in West Bank. Volunteering with them was one of the best experiences I ever had. The staff is kind and helpful and instalations are nice and clean. 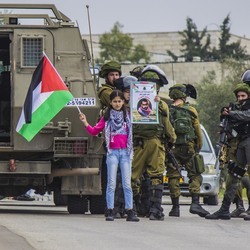 They run an organic farm too, which is a way of resistance and protection of Palestine's land. Most of my time I worked with social media and photography, trying to increase the number of guests. I strongly reccomend Hostel in Ramallah and can't wait to be back there. Bachelor's degree in Communication, specialized in Radio and TV. Extension degree in Digital Media Planning. Post graduation in Business Communication. Technical degree in Graphic Design and Tourist Guidance. I work for a public company in Communication Department and my main activities are: WebTV management and production, articles, journalistic covers, photography, art creation, press agency. I still work as an ambassador of African Impact, promoting volunteer projects in Africa. I was a columnist to Yahoo! for two years (2012-2014) and Communication's Assessor in a political campaign (2014). I founded a project called Comunicativos (www.facebook.com/comunicativosoficial) which purpose is covering creative social and cultural iniciatives and post videos, photos and texts in our page. In 2013, I was in a volunteering project in South Africa for two weeks, working in a Children's Hospital. In 2014, I went to Zimbabwe for four weeks as a volunteer in Photography and Research Project (African Impact/Lion Encounter/Alert NGO). Taking photos of one of the Entertainment Nights promoted by Hostel in Ramallah. Visit to Bethlehem is part of Jericho and Dead Sea tour. 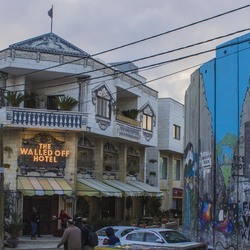 This is a photo of Walled-Off Hotel (from Banksy) and the wall. Guests of Hostel in Ramallah during Jericho and Dead Sea tour. The photos were used in social media and marketing of the hostel. 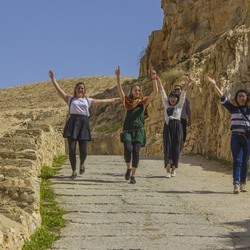 Jericho and Dead Sea Tour is offered by Hostel in Ramallah to their guests. I took photos of it to be used in marketing and social media. Taking photos of Hebron Tour, offered by Hostel In Ramallah to their guests. Taking photos of Political Tour by Hostel in Ramallah to their guests, in which is possible to follow a demonstration against the wall. Poxa vida. Gustavo não se conectou via Facebook.